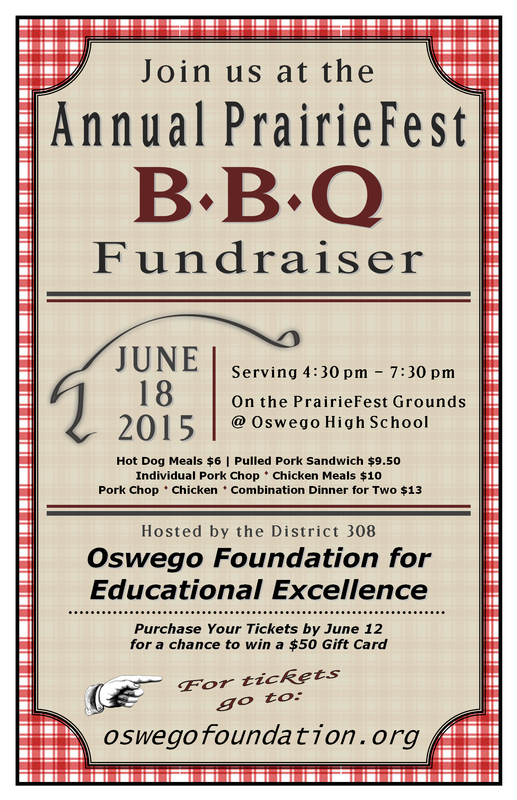 OFEE will be hosting our annual fundraising BBQ at PrairieFest in Oswego on (New Day) Thursday, June 18th from 4:30 to 7:30 pm. We will be having live entertainment from the wonderful vocal groups from OEHS and OHS during serving hours. *All meals include: baked beans, coleslaw, applesauce, roll with butter and beverage. Beverage choices are soft drink or bottled water. Purchase tickets prior to June 12th for a chance to win a $50 gift cards.